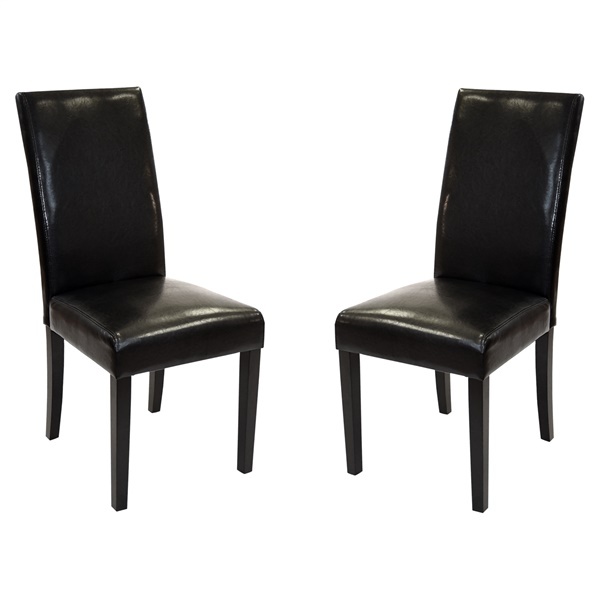 If you’re in need of additional dining room chairs, these gorgeous Bonded Leather Side Chair s are a great option. With a variety of colors from which to choose, you can find the right chairs for your décor. Made from bonded leather, these chairs are made comfortable with thick foam padding and are made fire retardant for your safety. Your choice of bold, rich hues to mix or match. Understated yet elegant contemporary aesthetic. Expert upholstery of quality bonded leather. Generous padding of fire-retardant foam. High-back style for maximum comfort.